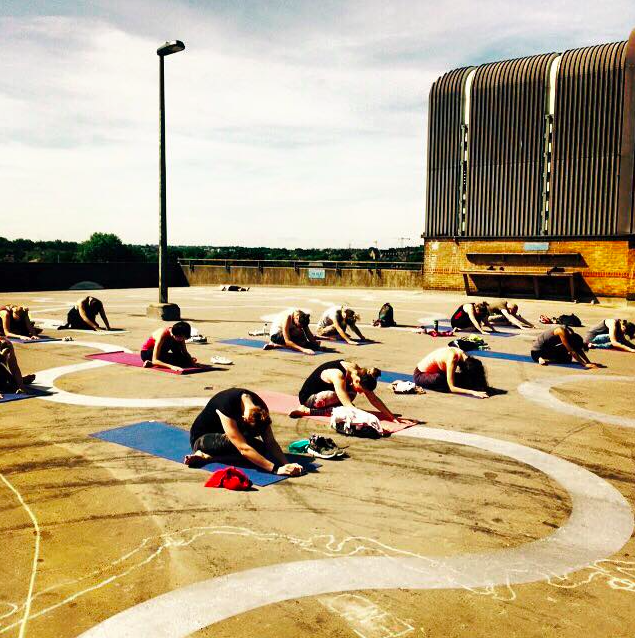 Summer is always a great opportunity to make the most of outdoor spaces: parks and even car park when they happen to have a rooftop...! 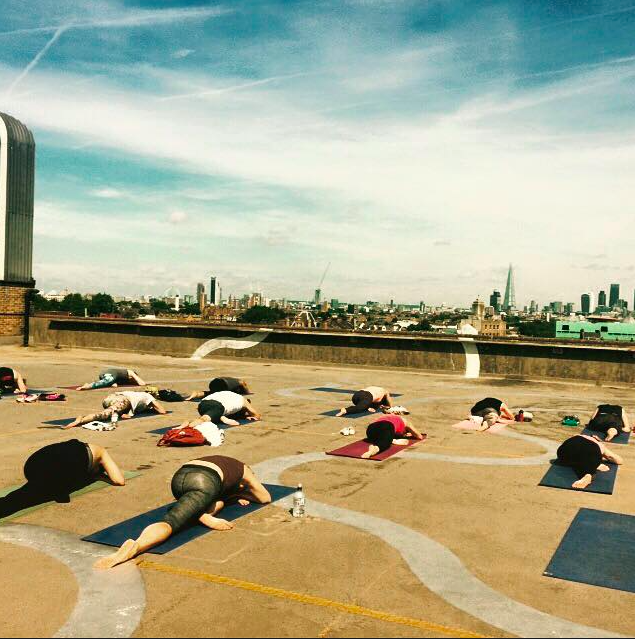 Bold Tendencies has partnered up with Secret Yoga Club to bring you some yoga classes with lovely views of London. Classes run every Sunday, 10-11.00am, and Mondays, 19.00-20.00, throughout August / early September with a variety of teachers so that you can return and experience different styles. I taught a couple of these classes and last Sunday was the highlight of my week! Here are a few pictures to get you inspired to try a class.